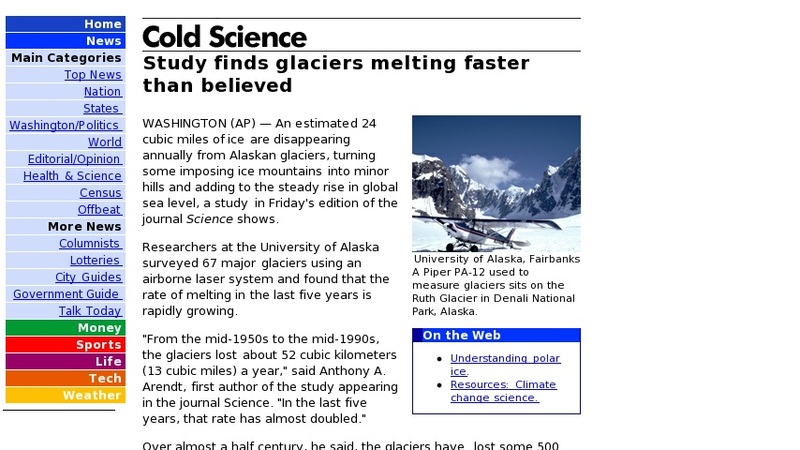 University of Alaska scientists report that Alaskan glaciers are melting more rapidly than anticipated; an estimated 24 cubic miles of ice disappearing annually. Conditions promoting glacial growth vs. shrinking are briefly reviewed; melting is an indicator of climate change. Results confirm proposals that glacial melting is a major contributor to sea level rise; findings indicate that melting of Alaska's glaciers is making a disproportionate input.